Wise financial advisors spend a notable amount of time talking to their clients about their plans for taking care of their children and grandchildren. Estate planning and wealth transfer can be complicated thanks to the emotional element surrounding family concerns, and investors often need professional guidance to make the best decisions for the next generation. But there is another generation to consider discussing with investors, and that is the generation that came before. The perceptions of many investors are colored by the financial situation and decision-making of their parents, who either serve as financial mentors for their children or as examples of what not to do with their investable assets. One key topic to broach – carefully - with investors whose parents are still alive is the prospect of a receiving an inheritance. For wealthy investors, the opportunity to leave a sizable inheritance to children and grandchildren is one of the driving forces in investing. Knowing that you are going to leave to them a sizable sum to assist them financially upon your passing provides a sense of relief, removing one concern that can hang over the heads of all parents. Receiving an inheritance is that unique combination of a positive event coming out of a negative outcome, namely, the passing of a loved one. It almost works as a salve to dull the pain of the loss of a parent or other family member. An inheritance is also a financial consideration, and depending on the amount of the inheritance, it is something that requires additional thought and professional counsel. Spectrem’s new study about the effects of inheritance demonstrate that for most investors, an inheritance is anticipated, it does not significantly alter an inheritor’s life, but it can spark a change in financial advisors. 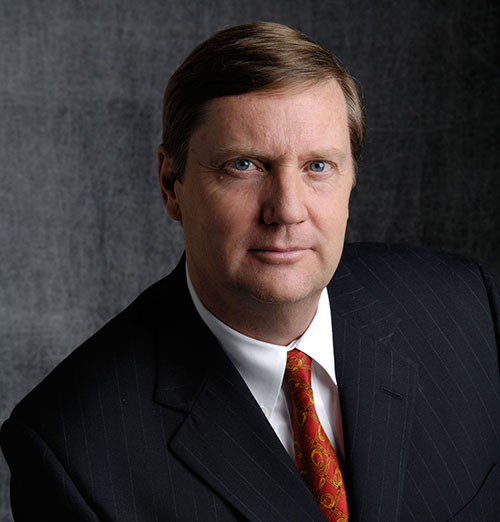 The Legacy: How Investors Are Impacted By Inheritance looks at investors who have received a large inheritance and asked them how the inheritance changed their lives and their relationship with financial advisors. Interestingly, the answer to the first question was “Not much”. 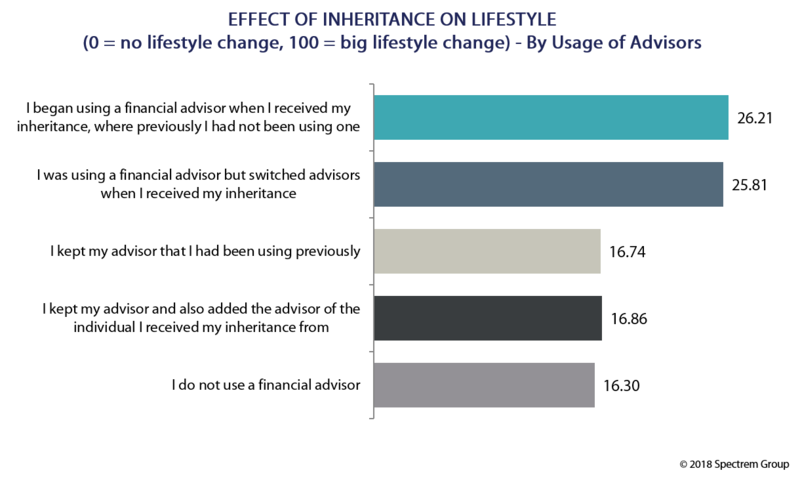 Asked to put the change in their life due to inheritance on a 0-to-100 scale, the responses averaged to a very low 18.14. This indicates that investors receiving a sizable inheritance are likely already doing fairly well themselves, perhaps because their progenitor was providing some financial assistance in the form of (tax-exempt) monetary gifts over time. However, the inheritance did often cause a reexamination of advisor services. Twenty-two percent of inheritors who had no advisor before receiving an inheritance of more than $1 million began using an advisor after the fact. More importantly, 75 percent of those investors started using the advisor who worked with the benefactor and handled the distribution of the inheritance. For advisors, working with a client who is preparing a sizable inheritance for his or her children and grandchildren provides an opportunity begin a relationship with the next generation when the transfer takes place. The Legacy: How Investors Are Impacted By Inheritance also explains how these inheritors invested their newfound funds, with a preponderance towards maintaining the same investment strategy that was being implemented with their pre-inheritance investable assets. Passing along significant wealth to the next generation is a key role advisors have with wealthy investors. Receiving an inheritance can be a landmark occurrence for the inheritor. It can also be an opportunity for the advisor who is administering the transfer of funds to keep the business in the family, and that sort of relationship can last a long time.